As a web developer or web designer, who would like to rock as a talented professional, checking for updates as well as adapting to suitable changes is one of must-do duties of your profession, without considering you are working as a freelancer or for an organization. And we hope that the intensity of the duty increases when you are working as a freelancer, as you are the one who defines yourself whereas there are some contributions from others when it comes to a web development firm. If you are such a professional, we hope that you are familiar with the word responsive themes and responsive web design trends, which has become quite popular in this famous mobile-ruled era. Nevertheless, some people are still confused about using responsive themes and hence making use of responsive web design in your or your clients’ website/or blog, as they do not know much about advantages of responsive themes in your blog and how they can impart that ‘multi-purpose’ effect quite quickly. However, if you are still not confident about implementing responsive themes in your blog/website, we would like to give you an introduction about responsive design and themes as well as reasons why you should use responsive themes in your blog. As you can guess, you can have more advantages in the case of a blog rather than a static website, as larger number of visitors is a matter of profit whereas number of visitors can have an indirect effect when it comes to a product page or a portfolio of your work. Firstly, we will give you a brief introduction about responsive web design and we hope the introduction will help newbie web designers, who know little about responsive themes and their effect in your website. Talking in a simple manner, responsive web design helps websites to respond to the environment of the device, which user uses to visit your website. As a simple example, if you are using an iPad as the web-browsing device, the website will resize itself in order to suite the display abilities of the iPad, as the designer and developer have defined while coding or when integrating a specific framework. 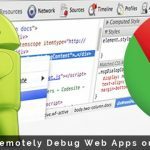 As you can guess, most of the frameworks have support for various devices such as Smartphones with various screen sizes, Tablet PCs, Netbooks, Notebooks, and desktops as well. Hence, rather than forcing your visitors to compromise with the design errors they might face while browsing your blog or website, you can offer dedicated designs for each device, which makes enough sense. In the simple manner, we can say that you can fit your website in every screen without altering actual content and message you have published or the literal style you have used. Now, we will check out top-notch advantages of responsive themes in your blog or website. Several reports say that mobile devices may overtake Desktops and other conventional methods of web browsing in coming years. Moreover, our favourite websites such as Facebook has pointed out those earnings from mobile devices has made a notable increment in their whole earnings from that social networking firm. Apparently, this is a big reason for shifting to the famous mobile era, where you can satisfy visitors or users who visit your website/blog using their tablet PC or Smartphone rather than a PC. We guess that your shift will be quite useful, especially when considering major effects of going mobile with your website. In this situation, when Tablet PC and Smartphone sales are about to exceed the number of PC sales, we should try to detect the trend and should make use of it. In that aspect, it is quite a good decision to offer a dedicated version of your website for users according to the screen size of the device. So, because of using responsive themes in your website, you can attract more visitors, who would rather use mobile devices for browsing than PC. We hope all of you would love to get more visits. In addition, when using responsive themes in your blog/website, you can simply cut off the cost of developing mobile-only version of website. Rather than creating each website for each device, such as iPad, big sized monitor, Netbook etc, you can simply implement responsive design in blog in order to get rid of additional development costs. We hope it is a big deal when you have a perspective of a businessperson, who would love to invest less and gain more. As you might know, by means of responsive themes in your website, you can provide a consistent user-experience to your each user, which in turn helps you in getting more attraction. Furthermore, you will have more conversion rates and more clients, if you are dealing with a technology-powered field such as web development or software development. We hope the reason is quite impressive for all users! We all know that, in this situation, SEO is something inevitable when you want to get customers or visitors to your website/blog respectively. It is an apparent fact that Google Search algorithms are also taking the mobile-friendliness of your site into account when ranking your site in SERPS, as the number of mobile-device-based users is increasing day by day. Furthermore, responsive themes do keep a track of clear SEO relevance, as the simplicity would be reflected in conveying content quite easily than usual. On the other hand, when it comes to the technical section of your blog, responsive themes and the web design trend has the same importance. According to Google’s algorithms, preferably it is good to have single URL for single post. As you might have noticed, there will be a special URL when you use a special mobile version of your blog. However, you can overcome this small-but-notable via the use of responsive themes, as you can give the same content for all devices, without changing URL of post. Along with that, you can make use of technologies such as HTML5 in responsive themes, which can offer extended abilities in smart devices having support HTML5, which is indeed taken onto the account of productivity. We hope reasons, mentioned above, are enough for each web professional or business person to add the power of responsive web design into your work, by means of responsive themes for majority of platforms including WordPress – probably your favourite. 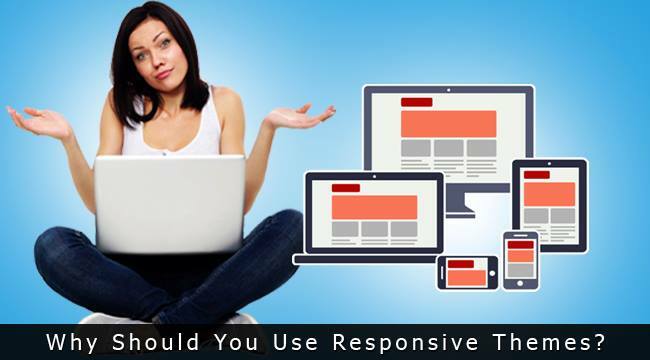 Do you think there are other advantages of using responsive themes? Do let us know via comments. I agree that responsive design is the latest web trend that most of the bloggers are following..can you suggest some good free responsive wordpress themes? Its true that Now a days Mobile trend increasing day by day. Now a days people want to see every thing on move. They don’t want to use PC, laptop. They want to use mobile for every think like to purchase some thing from online and they want don’t need to go out for shopping. They just want to stay home and visit every thing from home..
For this purchase, website owner and developer are offering such services base on demand because mobile website is visitor demand. For this purpose, they are using responsive themes. Really nice post, iam also using responsive theme at my blog. I believe responsive themes are necessary to gain visitor impression. Responsive themes are the best for any kind of blog.These kind of themes helps us to grab our targeted whether using tablet,iPhone,desktop,laptop etc. I am fully agree with your article. Hey Abhijith, it is surely important to use the responsive themes. The best part is that the theme should be very much looking attractive. The visitors should be the ones who should love to read the website with the theme. As i am new to blogging i have choosed wp over blogger and installed some free template. As th blogger optimises the site with a mobile template for mobile users. I find its pretty hard to navigate in Mobile. Then changes for a responsive theme. The article was well written which will help newbies like me. Well, I guess it is all about ease of access and this helps a lot in the navigation experience for readers. Still I think it is a little hard to apply if you just started your website. Responsive themes have a big advantage over simple ones. Now, more people are using mobile devices like smart phones and tablets. I’m fully agree with your article. But i figured out that responsive themes is more helpful and convenience to manage your information ..
A responsive style (as the one used by this specific website), is usually a procedure for internet advancement which allows a website to help separate itself straight down easily over numerous check sizes, screen promises, along with websites, be it a pc, product or maybe cell phone device. The item allows the actual developer to generate a site that is certainly optimized per system, each with course-plotting, readability along with insert moment. I just started using a responsive theme on my site in the past few weeks. I was hesitant at first, but it has increased my mobile conversions by quite a bit. Too many people are browsing the internet on their mobile devices today. Why would anyone pass up the opportunity to attract more return visitors to their web site? If I were searching for something online and had to scroll back and forth forever to read one page, I would probably leave without reading it, and you would never see me there again! Statistics show that more and more people browse the internet on mobile devices, not having a responsive design will be disadvantageous. It will be the biggest point to learn about. Especially since mobile devices are above Pc use. Utilizing responsive web designs certainly is a must for organizations to be well. Mobile users are increasing with a very fast speed. People hardly use laptops now a days to reading blogs when they can read them on mobile. If we use an responsive theme than we wont need to build a different site for mobile users.